On Monday, April 24, at 7:30 p.m., New York Times best-selling author Jeff VanderMeer will speak at the DeKalb Public Library. The talk, hosted by Northern Illinois University’s STEM Read and the Friends of the NIU Libraries, is free and open to the public. Jeff VanderMeer is the writer and editor of numerous books of speculative fiction and a three-time winner of the World Fantasy Award. His Southern Reach Trilogy (Annihilation, Authority and Acceptance) prompted the New Yorker to call him “the weird Thoreau.” The film adaptation, starring Natalie Portman, will be released this fall. STEM Read has chosen Annihilation as an official selection and will be exploring the book and concepts of worldbuilding in speculative fiction with high school students, writing experts and ecologists at NIU earlier in the day. The program will also post lesson plans and activities related to the book online at stemread.com in the coming weeks. 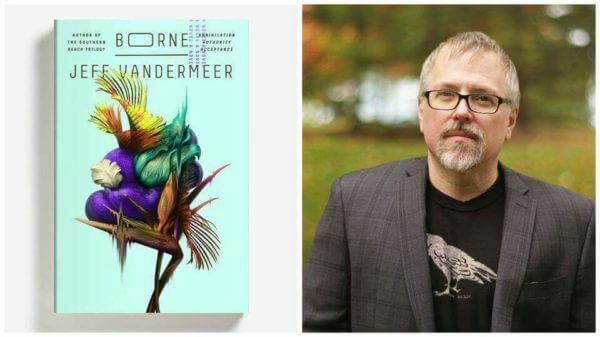 VanderMeer’s forthcoming book Borne was named one of the most anticipated books of 2017 by The New York Times, The Huffington Post, Book Riot and Publishers Weekly. The book will debut on April 25, but organizers are pleased to announce that they have exclusive permission to sell copies of the book a day early. Those planning to attend can purchase the book during the event or pre-order copies from Anderson’s Book Shop. To learn more about these events or find additional resources to explore the science behind fiction books, go to stemread.com or contact Gillian King-Cargile at gkingcargile@niu.edu.